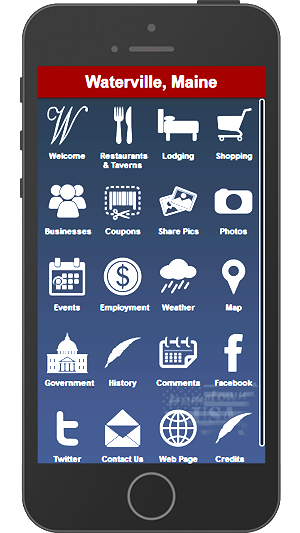 Thank you for your interest in having your business listed on the Waterville, Maine Mobile App and Community Website. Once we receive your information we will give you a call to discuss your information and options. Should you have questions in the meantime, feel free to contact us at info@hometownusaapps.com or (207) 465-8312. Please fill the following form out as completely as possible. If you would like to make a change or correction to your listing, please just email us at info@hometownusaapps.com with the changes and we'll get back to you if we have questions. The following fields will make up your business listing. Please submit the images with this form, if possible (emailing them later is ok, too). Images should be a minimum of 580 pixels by 410 pixels. If in doubt, send what you have and we will try to resize them for you. Company Name as you would like it to appear. Would you like to suggest new categories for your listing? We reserve the right to refuse listings in part or in whole, in our sole discretion for any reason if we feel it is not in keeping with our mission or is not appropriate for family viewing.